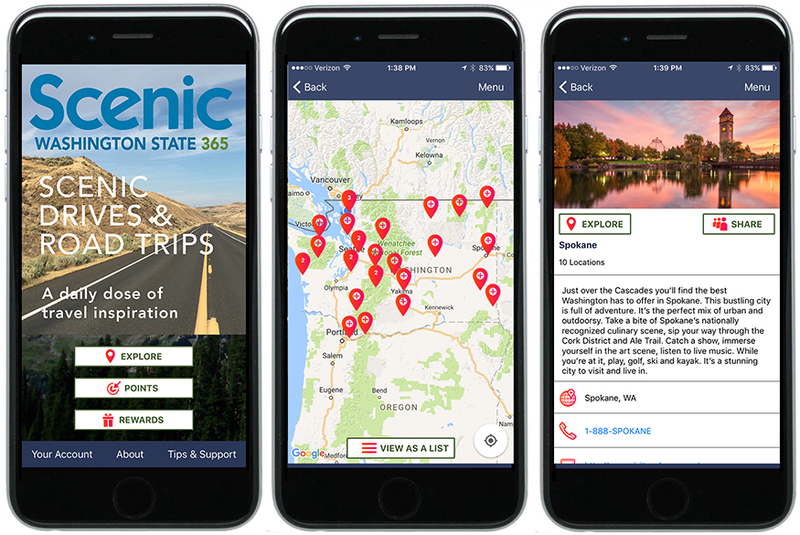 The Scenic Washington State 365 mobile app is currently available for FREE at the iTunes App Store and Google Play. Once you have downloaded the FREE app onto your smartphone, use it to find nearby attractions, restaurants, hotels and other local points of interest. This app actually allows you to collect points and earn rewards you for your visits. Download for details.